Yoforit Frozen Yogurt offers tasty treats to those living in Monroe. This store, which is family owned and operated, has been open since 2013. 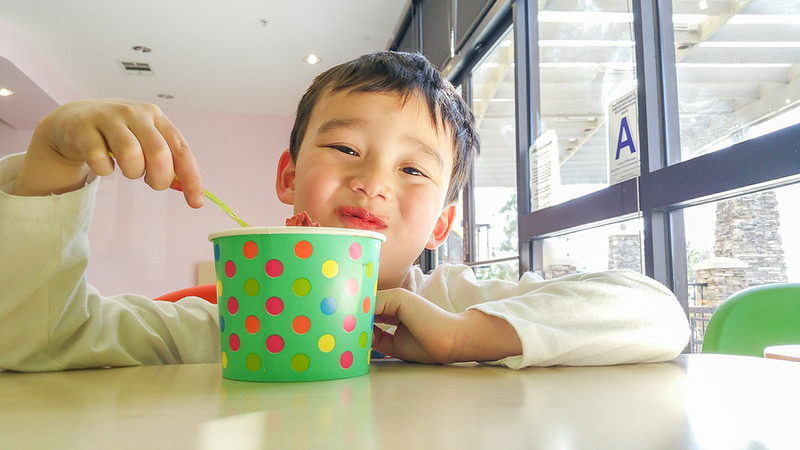 The family spent a good amount of time researching other shops and decided to offer YoCream Frozen Yogurt and Sorbet. There are always many flavors to choose from at the shop that include no sugar added, dairy free, kosher, and gluten free. There are also 80 different toppings to choose from. Pile on fresh fruit, candy, nuts, and sauces. Get your yogurt in a regular bowl or in a waffle bowl. In addition to the traditional yogurt with toppings, there are also froyo sandwiches, yocakes, yoshakes, and smoothies. Other options include house made items such as gourmet cupcakes, brownie bites, cookies, and granola. If you are in a hurry, grab a 1 ½ pound pre packed yogurt to enjoy at a discounted price. These are available in a variety of flavors. Yoforit is a great place for those living in Monroe to hold a party. Keep the mess out of your house and treat everyone to frozen yogurt. Call ahead for a reservation for 10 or more people and get a 15% discount for everyone in attendance. Watch for coupons in the various seasonal guides put out by the Monroe Monitor and also enjoy a free 4 ounce frozen yogurt for your birthday. Consider joining the loyalty program. Grab a card, get one point per cup, and receive a free half pound of yogurt with toppings when you reach 15 stars. Yoforit Frozen Yogurt is located at 19030 Lenton Place SE in Monroe. Operating hours are Monday through Thursday 2 to 9:30 p.m., Fridays 1 to 10 p.m. and Saturdays noon to 9:30 p.m. Vist Yoforit to find the full menu, contact details, and more information.